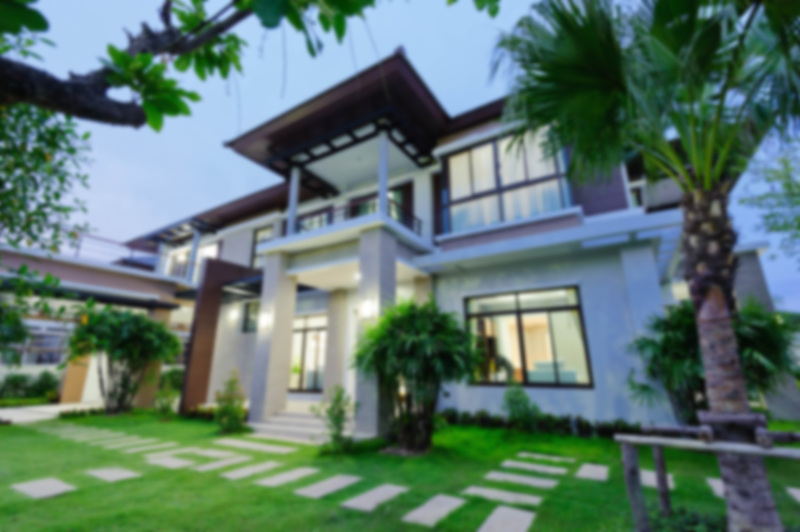 M-D Blog – M-D Building Products, Inc.
It’s here! 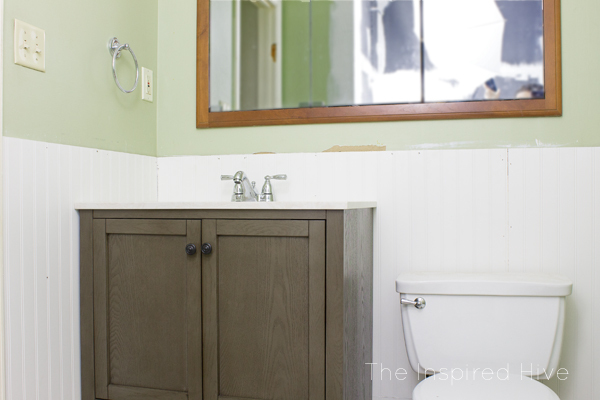 Week 6, the final reveal of The Inspired Hive‘s One Room Challenge: Master Bath Remodel! Congratulations, Nicole, on your new, beautiful master bath. Week 4 came and went but tile installation isn’t always as swift. 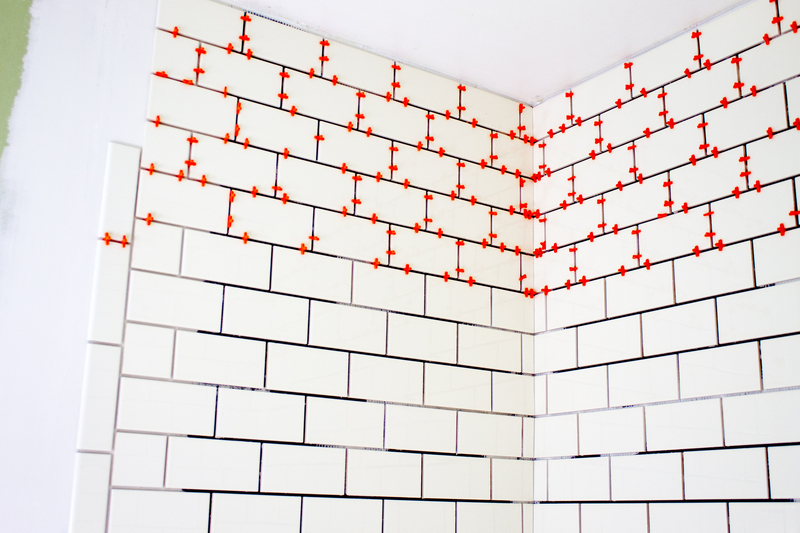 Yet, we’re thrilled for Nicole, from The Inspired Hive, and her progress on re-tiling her shower. She’s making excellent progress on her master bath remodel. In our Week 3 post, we discussed all the supplies we contributed to help Nicole reach her goal. 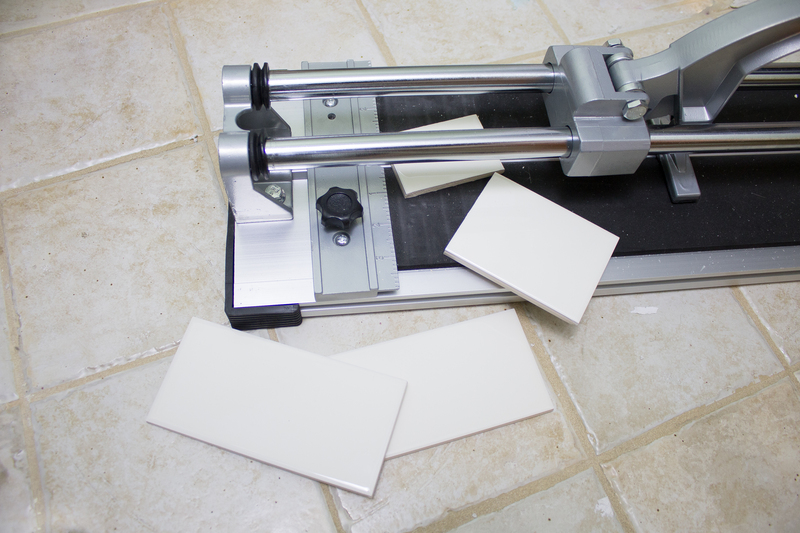 We couldn’t be happier to hear how easy it’s been for Nicole to use our 20″ Tile Cutter Pro. Our 20″ Tile Cutter Pro, is a heavy duty cutter used by contractors and DIYers. It’s far from intimidating due to its easy-to-use features. Simply line up the tile and run the handle over it to score the tile. You only have to score the tile once to achieve the perfect cut! The above photo is from Nicole’s re-model. 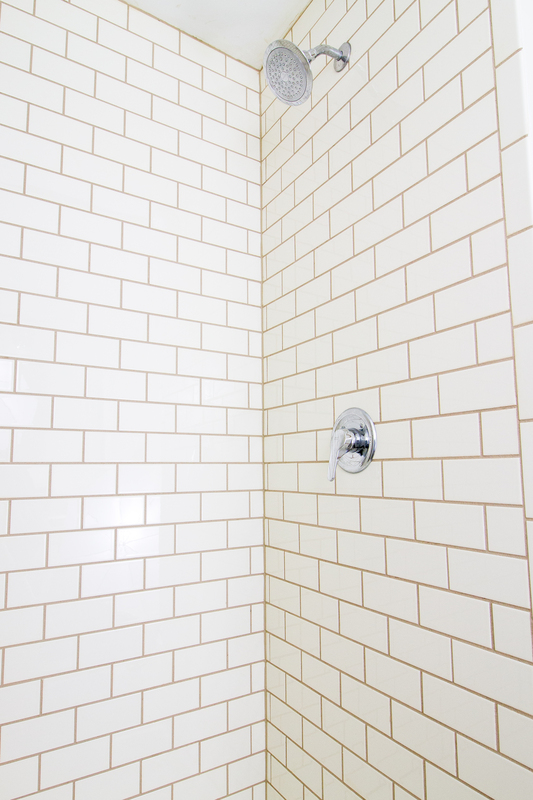 We love the how the subway tile is turning out. To recreate a similar look make sure to use our 3/16″ Tile Spacers! Using tile spaces allow for accurate tile alignment. Once the tile is set, be sure to remove the spacers before grouting! 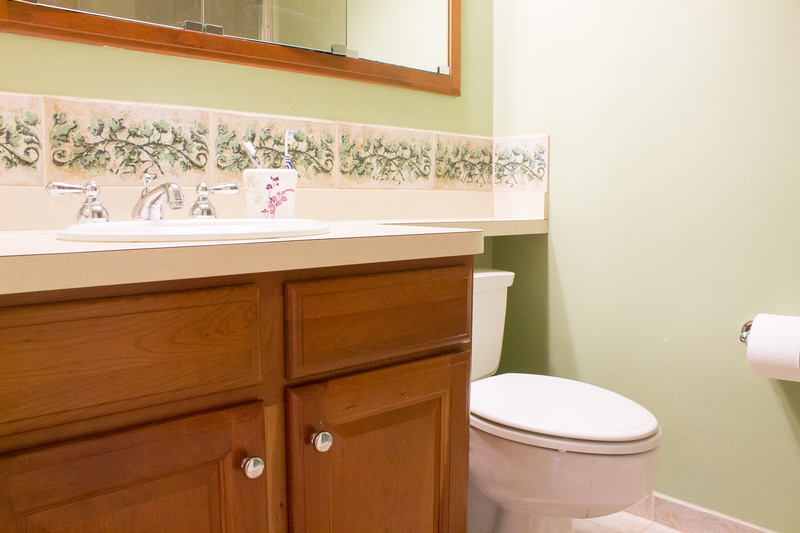 Make sure to check back next week to see the final reveal of Nicole’s master bathroom! It’s week three of the One Room Challenge and our partner, Nicole, from The Inspired Hive is making great progress on her master bath remodel! Our ceramic tile kit bucket includes essential items needed to install, and our 20 in. Tile Cutter PRO makes cutting tile a breeze! 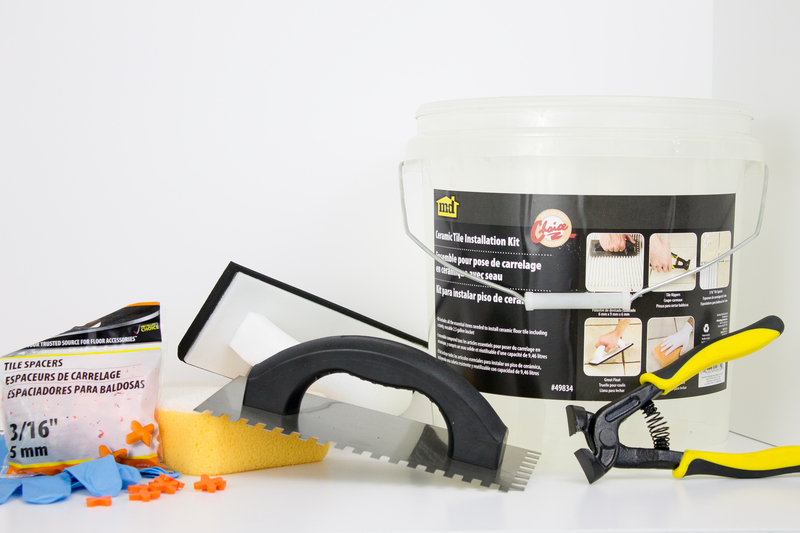 With these two M-D items you’ll be able to take on any tiling project! Make sure to check back in next week for more progress updates. Make sure to check out The Inspired Hive as Nicole embraces Demo Day! (Chip Gains, you’ve basically made this “day” a national holiday.) But demo is never easy and, as we all known, it’s rare to finish the day without one or two hiccups. Nicole will take you through her journey of removing all her shower tile, old cement board and vanity. This week she also introduces her readers to our PROVA products. Our PROVA products are 100% waterproof, prevent mildew and are an easy alternative to traditional shower installation. 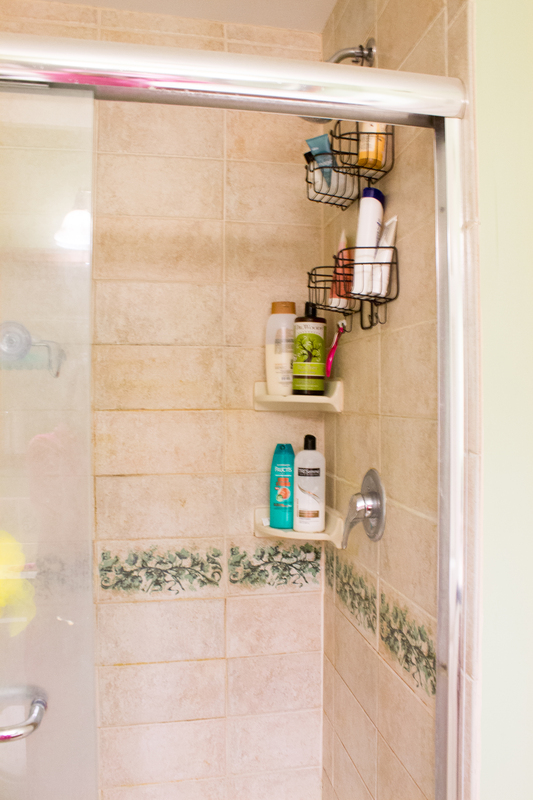 Since Nicole stripped her shower down to the studs she used PROVA-BOARD® Plus+ . We love this product because it’s a great alternative to cement backer board, it’s incredibly lightweight, easy to cut & fit to any shower size, vapor proof, structurally sound, comes with a 10-year warranty and did we mention waterproof!. 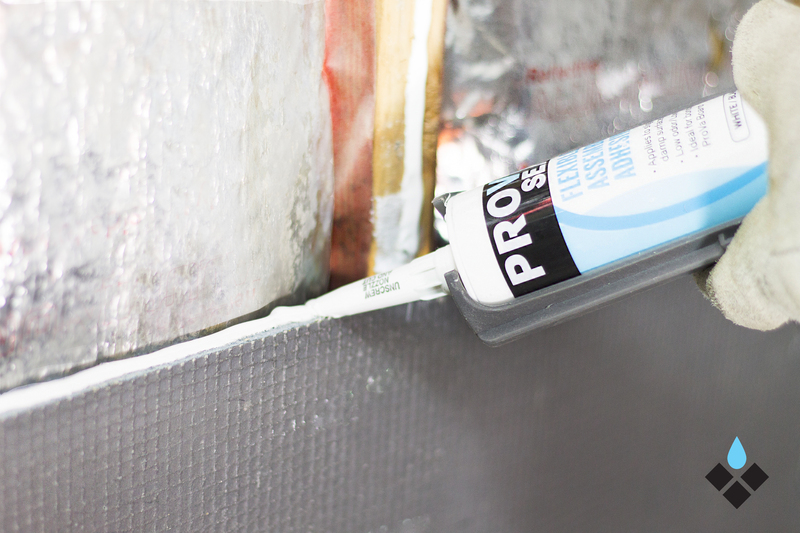 To install the PROVA-BOARD Plus+ all you’ll need PROVA FASTENERS® and PROVA-SEAL™. PROVA-SEAL can also be used to waterproof and seal pipe and valve protrusions in showers. This product has a rapid cure rate and is water ready in 1 hour! M-D is teaming up with Nicole from The Inspired Hive as she takes on the Spring 2017 One Room Challenge! Nicole will be tackling a remodel of her master bathroom and M-D is going along for the ride by sponsoring PROVA products and M-D Tile Tools. Make sure to check out Nicole’s post tomorrow, April 6th, as she details how she will tackle one room in 6 weeks. In the meantime, check out a Sneak Peak of Nicole’s current bathroom. Be sure to check-in weekly for updates on Nicole’s progress and to learn tips and tricks for remodeling your own bathroom! Mississauga, March 24th, 2017: M‐D Canada Ltd., in conjunction with Didgebridge, a mobile marketing technology company and Advertek, a Canadian Print and Related Media Communications Provider are extremely excited to announce the premier launch in Canada of a location based mobile shopping application. This new application will be integrated with consumer shopping experiences at all Home Hardware Stores across Canada. This strategic alliance will compliment today’s need to support consumer product education and shopping simplicity in a “mobile‐meets‐retail“world. A whole new experience will be delivered to the shopper once the consumer’s smartphone is engaged in store. After a year of due diligence in researching location‐based mobile solutions, we found Didgebridge and Advertek who offered, by far, the best way for retail manufacturers and brands to communicate directly with shoppers – on the phone, the only interactive device they bring with them to the store,” said Fergus Chapman, Vice President of Sales and Marketing, M‐ D Canada Ltd. “Our customers can now view the full spectrum of our product offerings for their home insulation and maintenance requirements. They can now, in live time, view all product options, engage with video technology for product information and view all product specifications and features”. Fergus added. “Using real touch points, we will call out a texting function which will easily guide the consumer to the right product. The landing pages will be quick, engaging and fun which will affect the consumers’ buying decisions. With various click opportunities including “How to” videos, the persuasive power of these visuals will undeniably drive more products into the hands of the Home Hardware customer,” said Stephanie Adams, Marketing Manager, M‐D Canada Ltd. “With this platform, we are able to drive innovation and increase value, separating us from our competition”. Stephanie added. “Our customers are looking for tools that analyze and act in real time, immediately supporting the consumer purchasing decision, our alliance with M‐D Canada Ltd. and Didgebridge delivers to this rapidly growing market need” noted Joe Montalbano, Co‐CEO of Advertek. Loren Plotkin, the company’s President and Chief Executive Officer. from the Olin School of Business at Washington University in St. Louis. consumers, contractors, wholesalers and community agencies across the nation. In 2007, the current management team bought out the founding Macklanburg family after three generations. company’s product lines and upgraded manufacturing and distribution capabilities and facilities.